(Gallatin County, Mont.) On Wednesday February 6, 2019 at 8:58 am, West Yellowstone Police Department Dispatch received a 911 call reporting a snowmobile crash on the Two Top Trail approximately 2 miles west of West Yellowstone. The injured party, a 40-year-old man from Texas, had sustained a broken leg when the snowmobile he was riding on left the trail and crashed into a tree. Rescuers from the Sheriff’s Search and Rescue in West Yellowstone, Hebgen Basin Fire Department, and Forest Service Law Enforcement met the injured party at the scene of the crash forty minutes after the initial call for help. The man was conscious but had a broken leg. He was placed in a specialized rescue sled and transported to a nearby location to meet an ambulance crew. The ambulance then transported the patient to the Big Sky Medical Center. 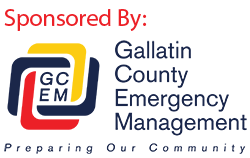 Gallatin County Sheriff Brian Gootkin would like to remind snowmobilers to be careful when riding in the backcountry, even when on a groomed trail. Changing terrain and trail conditions can sometimes bring unexpected adventure to a fun day of snowmobiling. Always remember to ride with a partner and carry a reliable means of communication in case of an emergency.